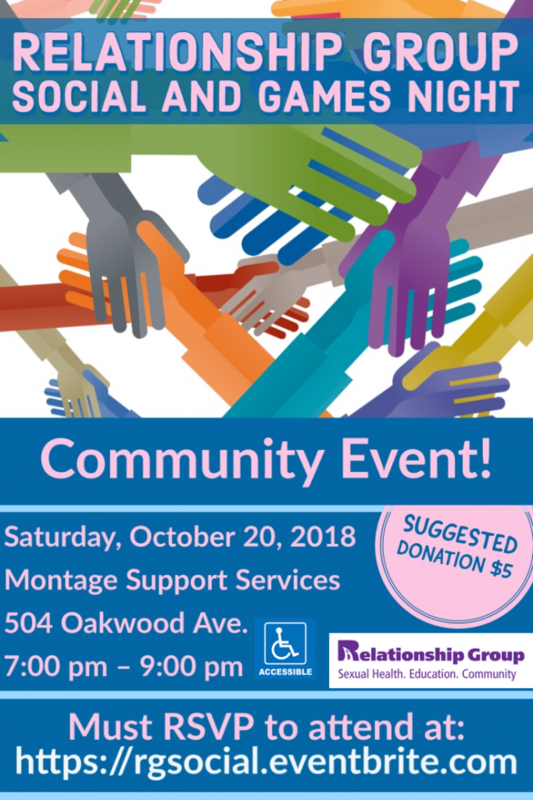 The Relationship Group meets monthly at Developmental Services agencies in Toronto and is a working group comprised of self-advocates, support staff and community members. The group educates communities about building safe, strong and sustainable relationships through safety, respect and self esteem. We invite you to join us at our welcoming community event! Bring someone in your life that’s important to you.